The food was going away quckly. Mr. Brandenburg explains how the pizza was made. 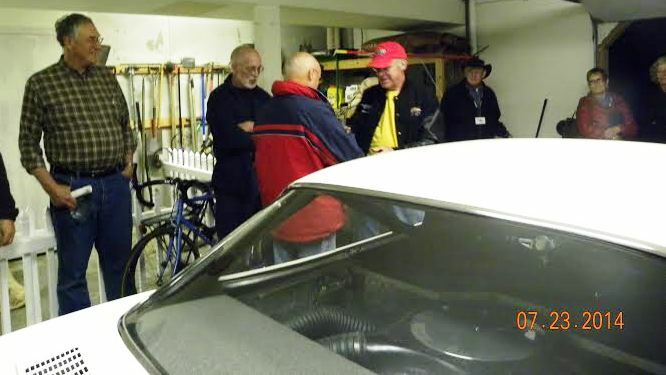 Russ Brandenburg with a couple of V8 Registry members from the Great White North. Russ Brandenburg presents the People Choice Award to Michael Svinth with Paul Siano, Doug Hargrove and his wife looking on. 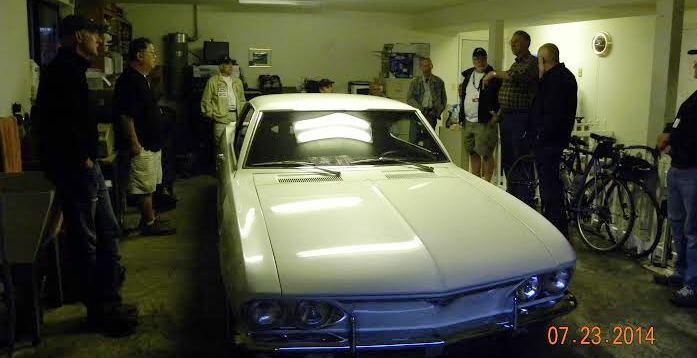 Mr Svinth gives a guided tour of his Subaru powered Vair. Russ Brandenburg presents the Ted Trevor Award to Rick Andersen. That big fellow in the left of the photo is John Balon. 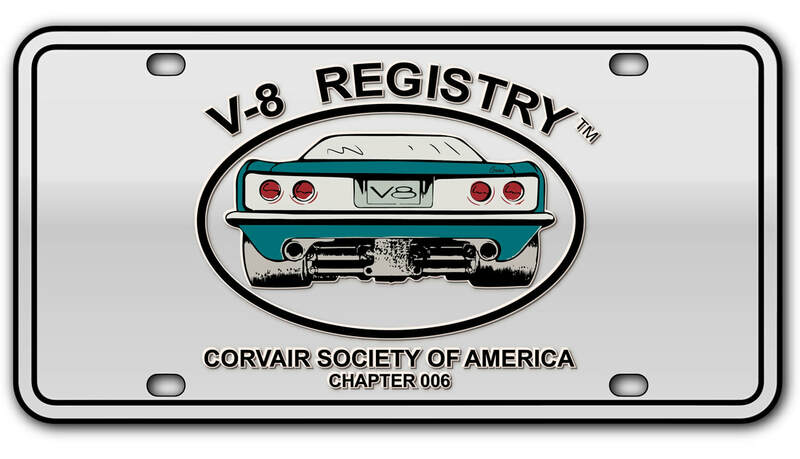 The Annual Meeting of the V-8 Registry was held during the CORSA Convention in Tacoma, WA in the Torcello Room at the Hotel Murano on Thursday, July 24, 2014. The meeting was called to order by John Lanning, the Chairman, at 6:15 PM. The meeting started late due to another group meeting running over. Eight members signed the attendance roster with three guests present, all of whom joined the group. Each was asked to introduce themselves. No other CORSA officers or Directors were present. The minutes from the Kalamazoo meeting were posted on line and were approved without additions or corrections. Paul Beck, the Secretary/Treasurer, submitted a Financial Statement for the previous 12 months. Copies were distributed and the report was approved. The report will be published on the group website. Under Old Business, the Chairman requested that members submit pictures and details about their conversions. 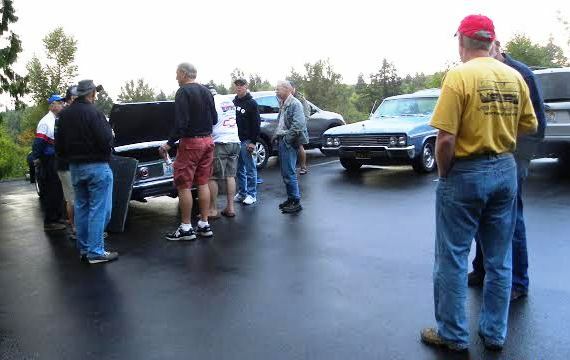 It was reported that many members have yet to submit pictures of their vehicles as total membership now exceeds 125 members. Members were also encouraged to use the new Forum to communicate with other members. Although much easier to navigate, the new Forum has some limitations. 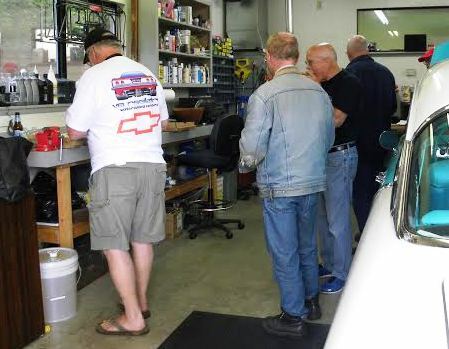 Members were encouraged to try it and submit ideas for improvement to Rick Andersen, the group VP and Webmaster. 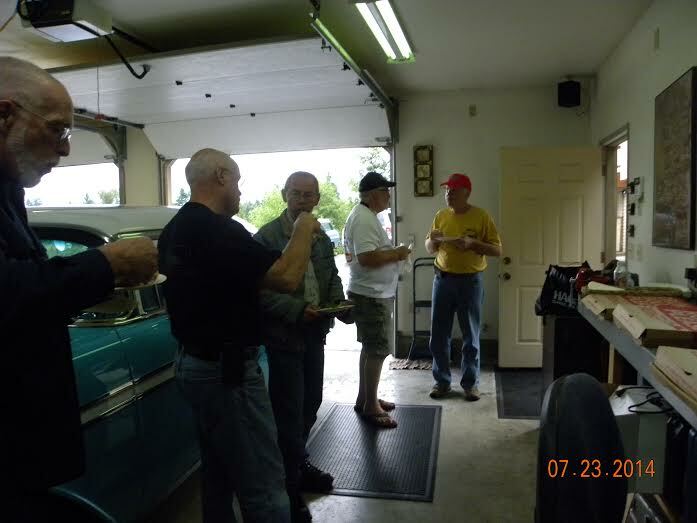 The Chairman reported that the Drag Test N Tune event scheduled for Wednesday afternoon was rained out, but the group Pizza Party at Rick Andersen’s home that evening was attended by 14 members. 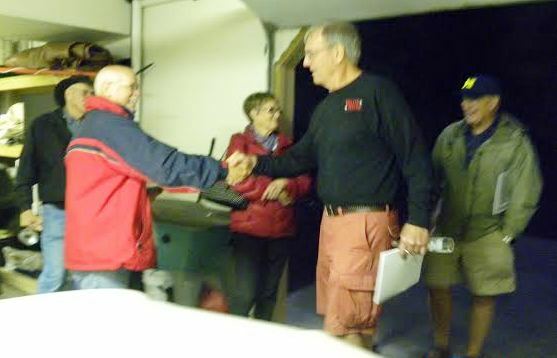 Door prizes were given away and a good sense of comradery prevailed. 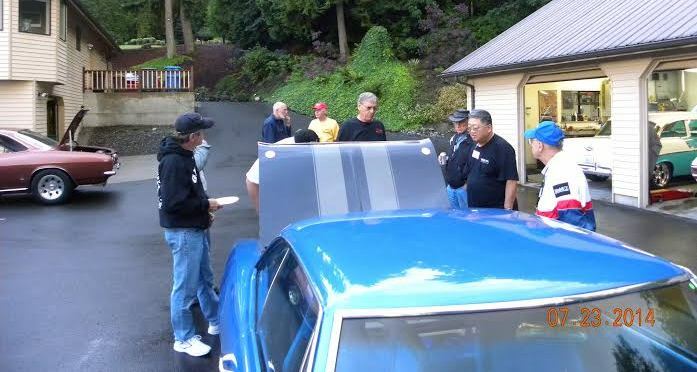 Russ Brandenburg judged the conversions for the Ted Trevor Award and the People’s Choice Award. 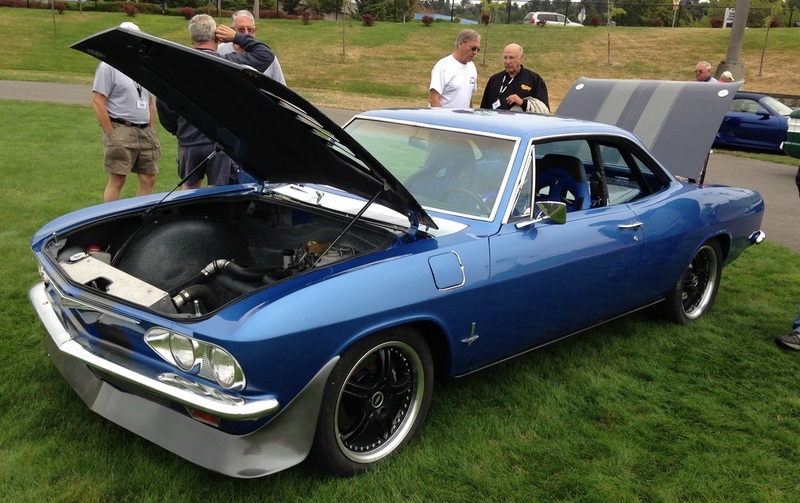 Based on the most original Crown Corv8 attending, the trophy was presented to Rick Andersen. The People’s Choice Trophy was awarded to Michael Svinth. The Chairman made the members aware of a book about the Corv8 that was written in 2005 by Greg Riley. 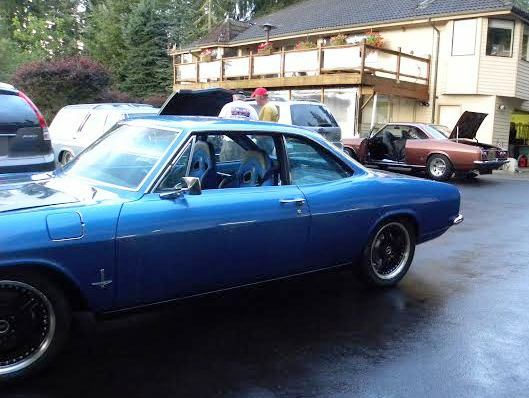 The book is available through Clark’s for $20.00 and offers a lot of interesting information about Corvair conversions. 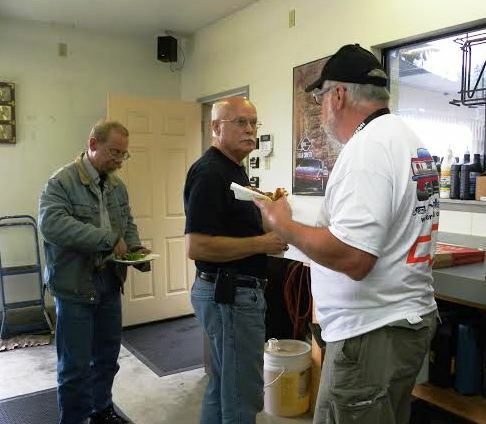 The 2015 CORSA convention is scheduled in Knoxville, TN. The members were asked if a race event should be included in the schedule for Registry members and support for an event was positive. Potential venues will be explored and reported to the membership. The dues structure for 2015 was discussed. Some members liked the idea of a low cost basic membership with no frills while most had no problem with the current rate structure and free shirt. 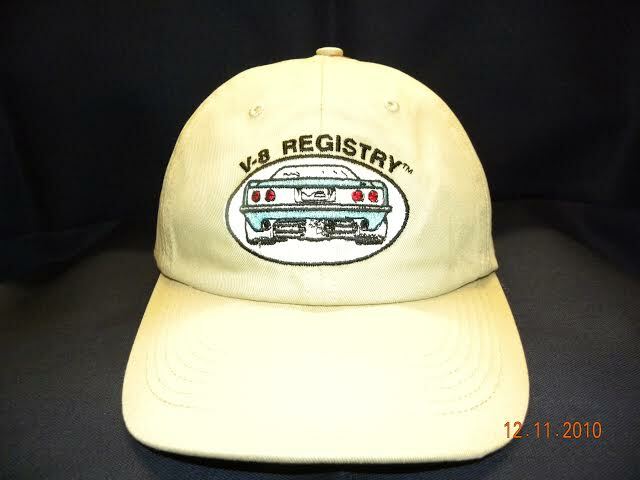 A V8 Registry cap was mentioned as a new item for 2015. A picture of the cap is posted below on this page. Minutes from the meeting will be submitted to CORSA for review. With no further business to conduct, the meeting was adjourned at 6:55 PM.